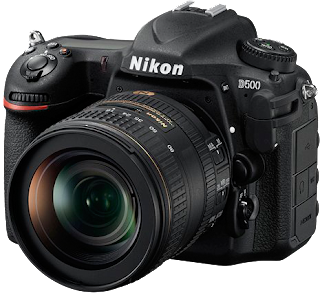 Nikon has recently released firmware updates for the D500 and D3400 as well as an update to the “distortion control data”. Images would not display correctly if playback zoom was used during image review. The focus point display would not light if the shutter-release button was pressed halfway after the standby timer had expired. The camera would stop responding if a command dial was used in the CUSTOM SETTING MENU > f Controls > f1 Custom control assignment > Movie record button + menu. If an option other than Off was selected for Active D-Lighting in the PHOTO SHOOTING MENU, pictures taken with an optional flash unit in auto aperture (AA), non-TTL auto (A), or distance-priority manual (GN) flash mode would be underexposed. The Distortion Control Data allows the camera to remove the lens distortion from the captured (JPG) image (when a compatible lens is used). For an overview of the supported cameras and lenses, please see the information at the download site.